Common conditions that physiotherapists help treat using the taping method are back pain, muscle strains, ligament sprains, knee pain, runner’s knee, patella femoral pain syndrome, ITB syndrome, shin splints, arthritis, headaches, shoulder pain, tennis elbow, ankle sprains and much more. Athletic taping is growing in popularity for sports injury treatment and with athletes all over the world. You may have noticed in the London 2012 Olympics that some athletes had brightly coloured k-tape on various areas of the body; for example, the low back, abdomen, shoulder, elbow, wrist, knee, ankle etc. 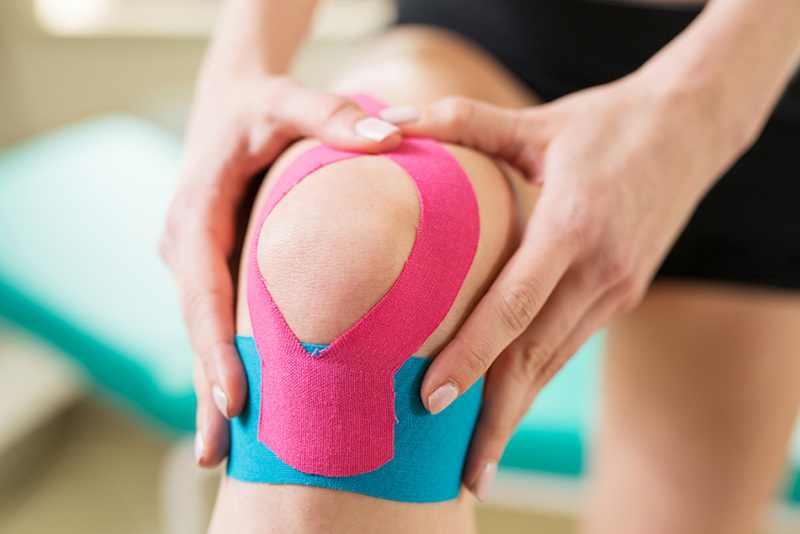 A great benefit to the usage of tape for an athlete is that they can continue their activity (depending on the sports injury) without damaging the tissue further and provide the tissue with support and rest to heal. Tape or KT tape is water-resistant, breathable and it mimics the elasticity of human muscles. All these properties allow for greater comfort when applied to the body. Contact our physiotherapy clinic in New Westminster to see whether athletic taping is right for you. And if you have any questions about our athletic rehabilitation program, simply ask one of our physiotherapist for more information. We can help you achieve your health goals, click here to contact Assured Health Group today! Our mission is to keep all of our clients happy and satisfied. We have a range of services and products to help accommodate our patients with all their medical needs, and our extensive knowledge of extended health helps us get one step closer to our goal. © Copyright 2017 Assured Health Group All Rights Reserved.